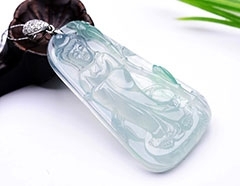 Generally speaking, Jade is one object that formed deep within the earth, under extreme heat and pressure which are composed of several mineral substance.Just like diamond and other jewelry, it needs long time to be created by minerals.At least hundreds of millions years to form one source of jade jewelry. That's the reason why jade jewelry is so charming and mysterious. 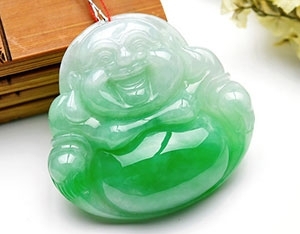 Why jade jewelry are kept by the investors and collectors to escape inflation? Precious jadeite jade can only be got from Burma and Hetian jade as the best nephrite jade can only be got from China and both of the precious jade resource are non-renewable resource which will run out soon when the jade mine are all exploited.The rare the jewelry is,the more value it will own.Besides that,jade jewelry represent Chinese 5000 years old culture make it even more valuable.That's why one old saying goes "Gold has value,but jade jewelry is priceless".so many investors and collectors look for precious jade jewelry to expect value appreciation and also to escape money inflation of the nowadays unstable cash environment. You not only own on valuable jade jewelry,but the culture in it too. Why precious jade jewelry are treated as family heirloom? Jade jewelry can be exploited from many countries,but the true precious jade jewelry like Hetian Jade and Jadeite Jade can only be exploited from China and Burma.There precious hetian jade mine and Burma jadeite mine is about to run out after so thousands of years exploited. 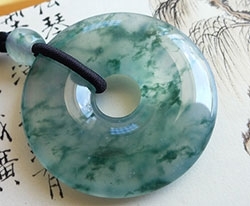 The real nearly perfect jade jewelry can be handed down from generation to generation and its value is hard to judge by money. You will be the lucky one if you own one precious perfect jade jewelry like Hetian jade and Jadeite jade. Why jade jewelry is loved so much in China? 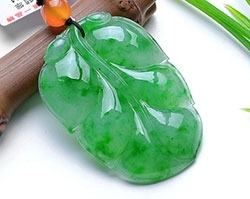 The process of jade creation is like the evolution of human life.that why jade is always called “the stone of life” in China.Chinese people believe jade can bring luck and strength to them,that’s why jade jewelry is loved from the ancient time. Besides that,jade is endowed with the representative of moral.because its many characters are so similar with the good deeds gentlemen should own. How to buy JOJO jewelry? That's easy for you to buy JOJO jewelry. 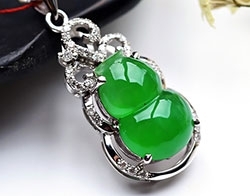 When you are found your loved jade jewelry from our site,then you can click the button "Add to Cart" to add your loved jade jewelry to the shopping bag.After you have chosen your loved jewelry,you can pay all your jewelry together. What guarantee you provide for us? JOJO provide 100% Guarantee for all our jade jewelry. JOJO wishes you to be satisfied with every purchase but we know that sometimes this is not the case. If you are not completely satisfied, you can return any order (except customed orders) for refund or exchange within 7 days from the date of shipment. You have to be sure our jade jewelry is not damaged,the certificate and other parts are all well. What about your return policy? If you are not satisfied with our jade jewelry,then you can use the following process to return it to us. 1. Contact Customer Service to initiate the return process within 2 days of the receipt of your jewelry(starting from the day you receive your package) and send out our jade jewelry to us within 7 days(starting from the day you receive your package). We only accept products in their original condition. Please note: All the time is subject to the shipping company site's dispatch date. 2.Place the item securely in the original package. 3.All products must be returned in good condition, in original boxes, and with jade jewelry certificate and accessories to ensure a full credit. 4.JOJO will process your return immediately when we have received your returned jewelry. Refund will be credited to the same form of payment in your original purchase. Please note that your original shipping fee,handling fee and other additional costs will not be refunded, unless you received a damage, defective, or incorrect item. Customised and precious jade jewelry booked more than half a month don't apply to return policy and can't be refunded. 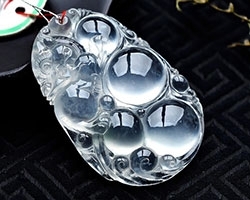 Whether you will gift-packaging for my jewelry if I need? Gift package is the service we provide for our customer. You can let us know who you want to send to and what requirement you have,we will also provide gift card writting the words you want us to write.then we will package your jewelry carefully so that you can send the jewelry to the one you want directly. What's about your Customized Service? Customized Service from us is to meet your individual and special requirement of your loved jade jewelry. 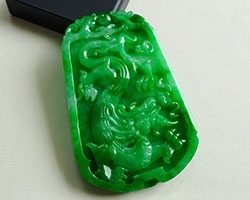 You can let us know what jade material you want,what style you love,what size you like,then we find the jade material to customize your loved jade jewelry. 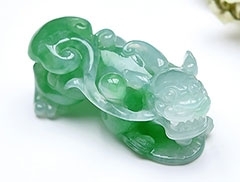 We will let you know what result the jade jewelry will be carved out to let you decide whether you will accept it or not.If you agree,then we will carve the jade jewelry out or we will give it up.After all,not all jade material can be found and not all style can be achieved.